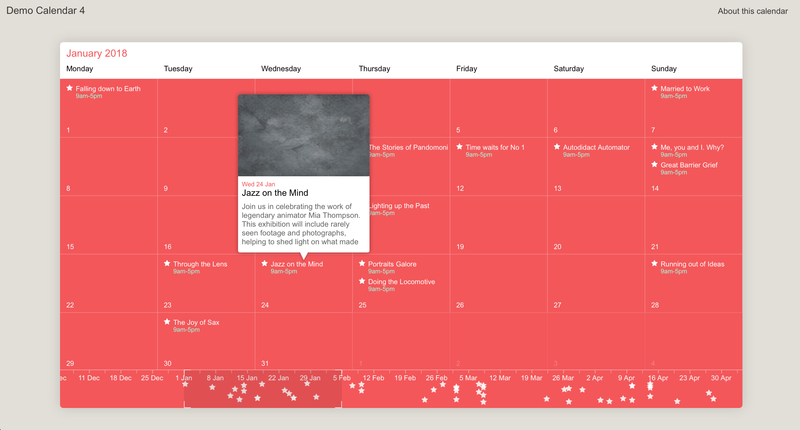 ChronoFlo Calendar makes it dead easy to create a beautiful interactive calendars for promoting events or managing your life. Our software allows you to be really creative with your calendar designs, choosing your own colour scheme and background image. 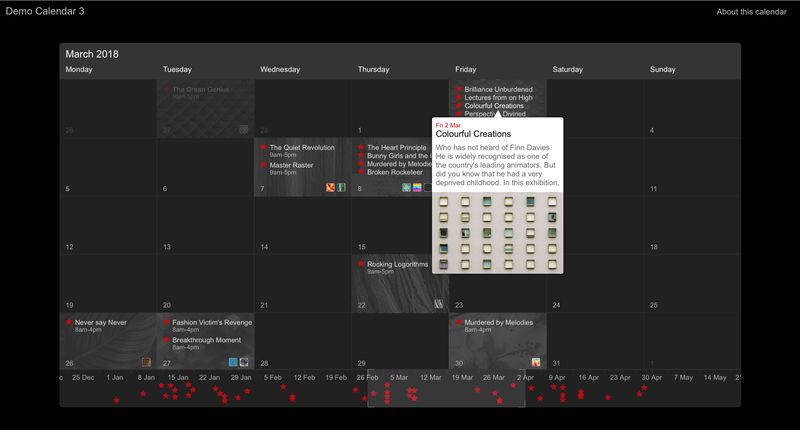 You can also include images, videos and audio in the calendar - no more boring calendars! 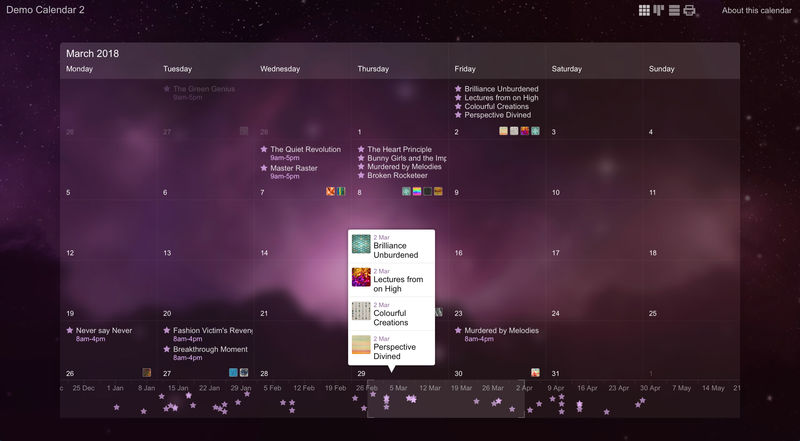 Would you recommend ChronoFlo Calendar to a friend? This is really really cool! @codecamcode Thanks for taking the time to comment. 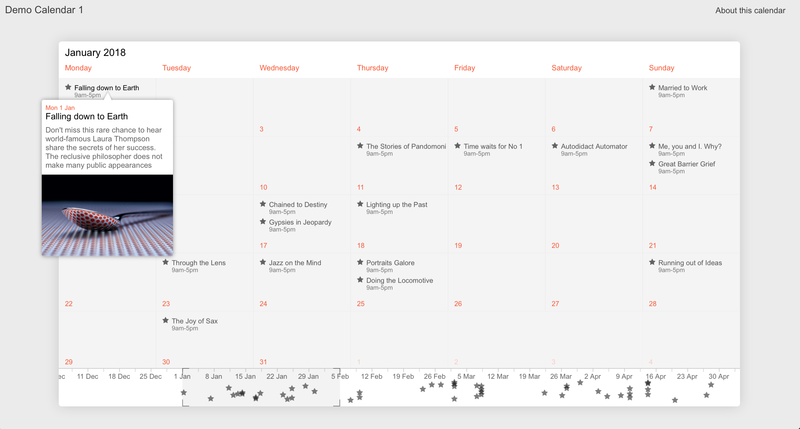 Great news you like ChronoFlo Calendar! @brybrybm Thanks for suggesting these uses!